After wowing audiences with two new tracks from the highly anticipated sophomore album Langata at the tail-end of 2018, Crooked Colours have announced that they will be bringing their unique brand of electronic dance music to audiences all around the country throughout April and May 2019, before heading overseas for a run of exclusive dates in June. Fresh from closing out stages across the country for St. Jeromes Laneway Festival, the group will be joining the party at renowned Aussie festival Groovin' The Moo, before embarking on their biggest headline shows to date. Groovin' will see the band moving through regional towns Wayville, Maitland, Canberra, Bendigo, Townsville and Bunbury, while the headline tour will hit metro venues Unibar in Hobart, Metropolis in Fremantle, The Tivoli in Brisbane, Coolangatta Hotel on the Gold Coast, Enmore Theatre in Sydney, and wrapping up at the iconic Forum Theatre in Melbourne on May 25. Joining Crooked Colours on the headline dates will be fellow triple j faves Nyxen and Kayex. 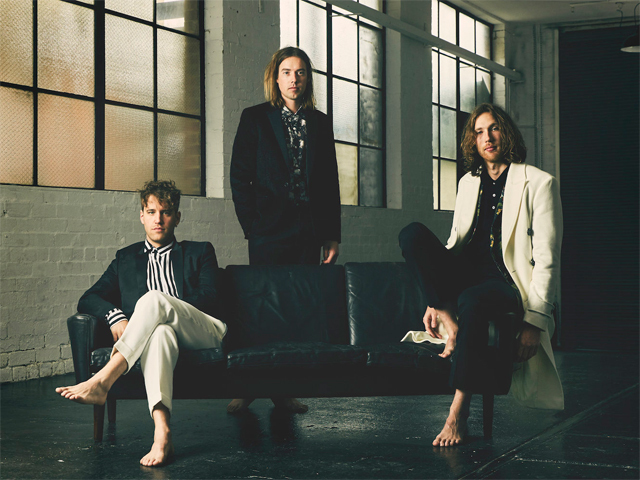 Crooked Colours, consisting of members Philip Slabber, Leon De Baughn and Liam Merrett-Park, burst onto the scene in 2013 with breakout singles Come Down, Capricious and Another Way, earning three consecutive #1's on Hype Machine and gaining a solid fanbase around the world. The result of a patient approach from an act determined to create a timeless debut, their album Vera released in 2017 demonstrated diverse and layered productions from a breed proving themselves as one of Australia's hottest rising acts in electronic music today. Hit singles Flow, I Hope You Get It and Come Back To You were been picked up by radio stations and press around the world such as Radio 1, Eins Live, triple j, Majestic Casual to name a few. To date, the band has had over 50 million streams on their debut accompanied by award winning music videos for all previously released singles. With new tracks from the trio I'll Be There and Do It Like You gaining rapid momentum towards the end of 2018 and into 2019, the mysterious second LP from Crooked Colours, entitled Langata, is expected to drop just before they hit the road for what will be their biggest Australian tour ever. Thrilled about the upcoming dates, Crooked Colours' Philip enthuses, "We're so excited about our upcoming headline shows - we get to curate the night, design the lighting and visuals, and play a full length set with music. We always play tracks stretching from our first ever release Come Down, through our debut album Vera, and now we'll also be showcasing brand new music from our forthcoming album Langata."